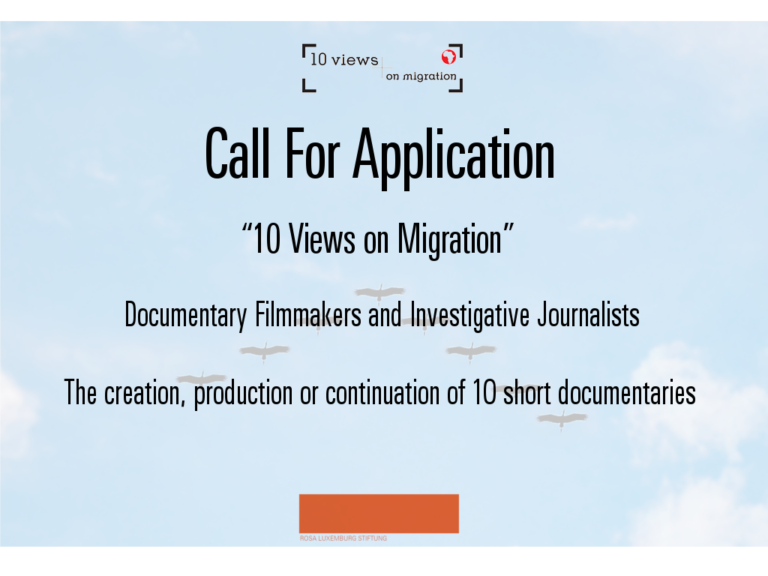 The Rosa Luxemburg Stiftug African offices (North Africa, South Africa, East Africa and West Africa), launch the call for application for their new project “10 Views on Migration”. Migration is generally one of the major topics for the RLS and especially for all its African offices, as the Africa department offices operate in countries which are among the 10 nations holding the highest number of refugees. The following call is for the creation, production or continuation of 10 short documentaries, this call is open for all African filmmakers. Migrants and refugees’ images in the media and public sphere are not always balanced nor fair. Media often stereotypes migrants and refugees and negatively represent them, which leads to a rise in racism and hate speech against migrants by right-wing politicians in Europe and elsewhere; and to a marginalization of migrants and refugees issues in the host and transit countries.